Maryland Republican Governor Larry Hogan and Lt. Governor Boyd Rutherford have won the general election against Democratic challengers Ben Jealous and Susan Turnbull. 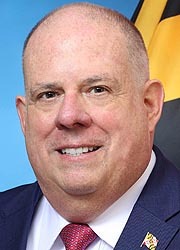 Governor Hogan is only the second Republican governor to be re-elected to a second term. The last Republican governor to do so was Governor Theodore R. McKeldin who served from 1951 to 1959. Governor Hogan secured 56.2% of the vote compared to Jealous’ 42.7%, and won 21 out of 24 jurisdictions. Additional coverage of the Gubernatorial election can be found in the publications listed below.